Almost most of the colleges are received the May / June 2014 Exam Paper Photocopies. 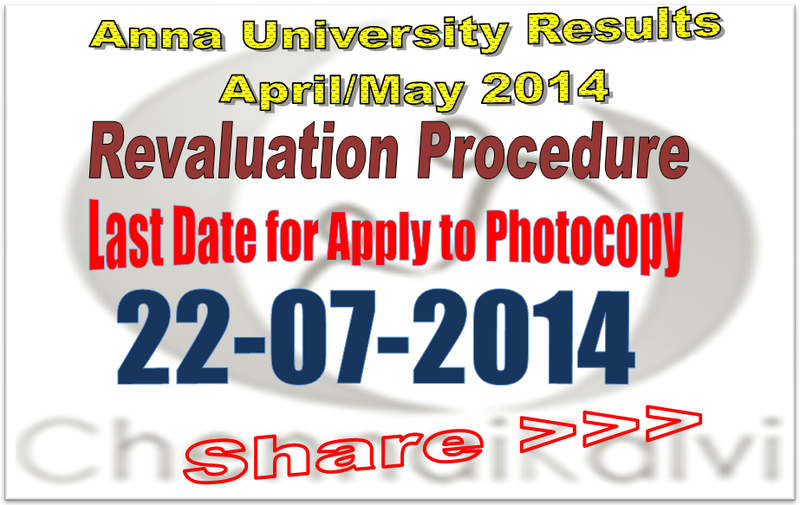 So Anna University has announced the Last date for applying Revaluation of the answer script. 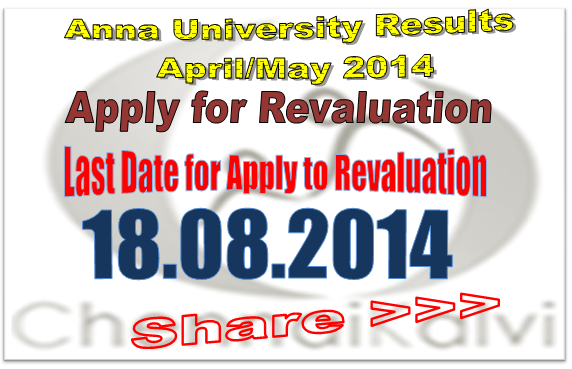 The Last Date for Applying for Revaluation is : 18.08.2014. 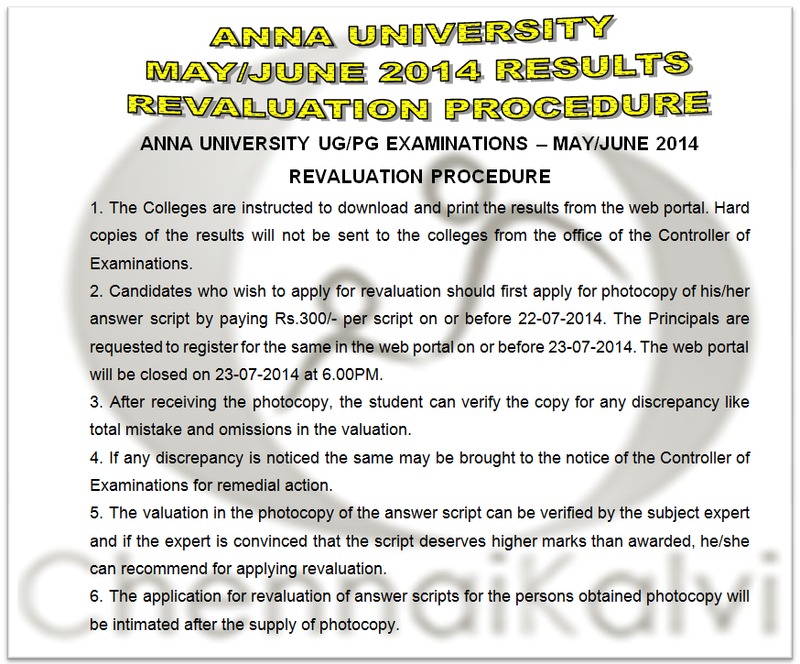 Anna University's Announcement is as follows. "Kind Attention to the Institutions : Web Portal is opened for Applying Revaluation of Answer Script for April/May and June 2014 Examination.Last Date for Students is 18-08-2014. Last date for College is 19-08-2014. The Web Portal will be closed by 6:00 pm on 19-08-2014."